Issued at 4:37 am Saturday, 15 September 2018. 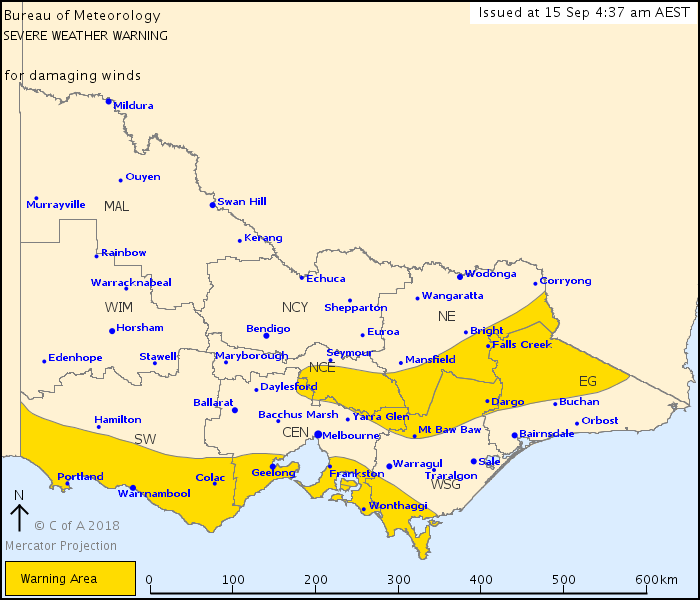 Locations which may be affected include Warrnambool, Portland, Geelong, Wonthaggi, Frankston and Falls Creek. Severe weather is no longer occurring in the Wimmera district and the warning for this district is CANCELLED.